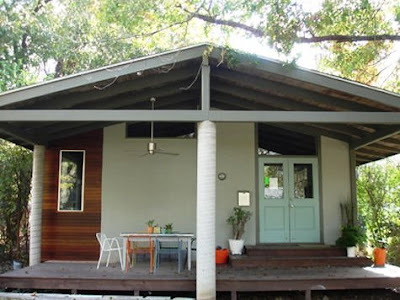 I just found these photos of her Austin remodel on Design*Sponge. And the sneak peek here. Alyson used a spray gun to paint the kitchen cabinets the same orange/red as her $12 thrift-store desk. Hello, this is my color palette. 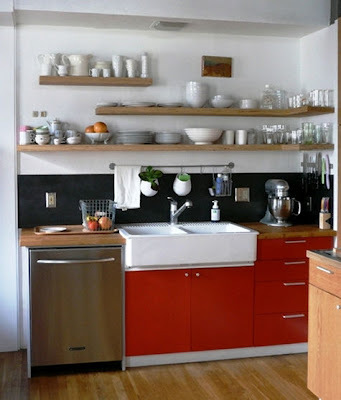 I really, REALLY love red cabinets. look at this place. who would not stalk her. infinitely stalkable. it's not your fault east side! I like the kitchen shelves. 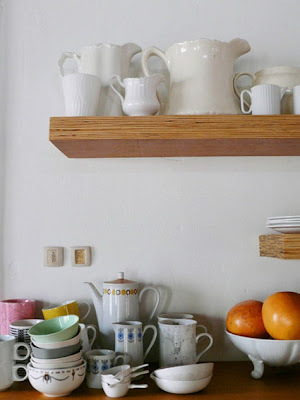 One day I will have kitchen shelves like those. Except without grapefruit. 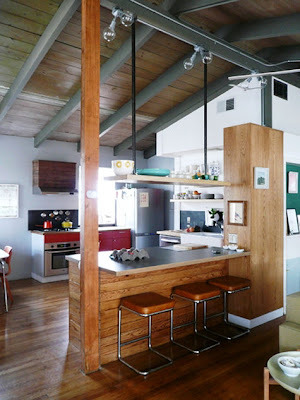 girlfriend, that kitchen is so hot--modern with a little vintage--oh yeah! 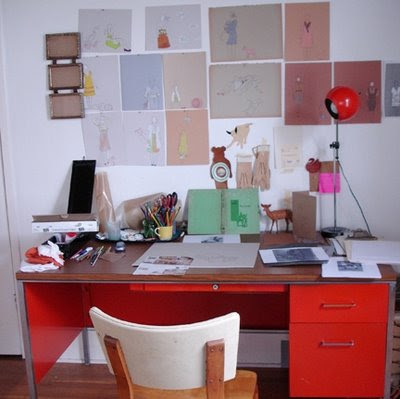 Oh, I love that red desk - that is gorgeous! the dress, the house, the kitchen. and the mysterious extra man, brian. it's not fair! I have to redo my kitchen at some point soon and am loving hers! Definitely bookmarking this! !